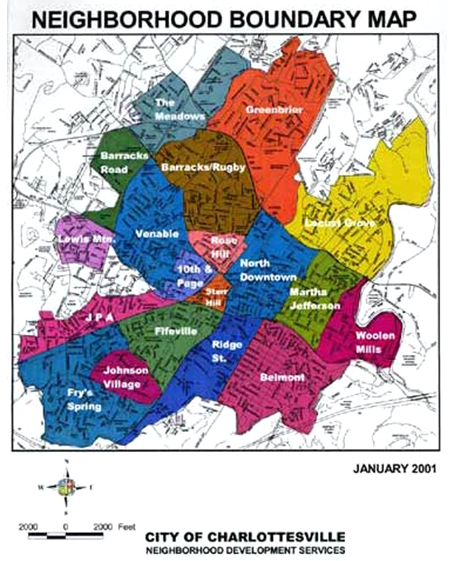 Decades ago, Belmont, which spans between the Downtown Mall on the northern side to Moore’s Creek on the southern side, was often seen as Charlottesville’s most rugged neighborhood. However, after the turn of the century, investors and residents recognized Belmont’s potential due to its central location and affordable prices. Since then, Belmont has seen an accelerated rise of home values and restaurant openings. Once a solidly working class neighborhood, Belmont now attracts both millennials and families. Belmont has seen a strong compound annual growth rate of 2.87% over the last 5 years, and a median home price of $210,900. The average single family long-term rental is $1,333 a month, still one of the lowest in city, giving Belmont an average Price-to-Rent Ratio of 13.2. One major strength for Belmont is in its location. Crossing the bridge on the northern corner of Belmont takes you directly to the southern end of Downtown Mall. The neighborhood also boasts some of the most popular restaurants in Charlottesville including some of Charlottesville’s natives’ favorite restaurants, Mas Tapas and The Local. Nightly rental rates are very reasonable and plentiful, often featuring accommodations below $50. If you are looking for help in listing and marketing your home, contact us at Guesthouses!